Running is more than just a sport and for you to run properly, you need more than just your regular pair of sneakers. Here, we bring you the cheapest offers on running apparels, footwear, and so much more. 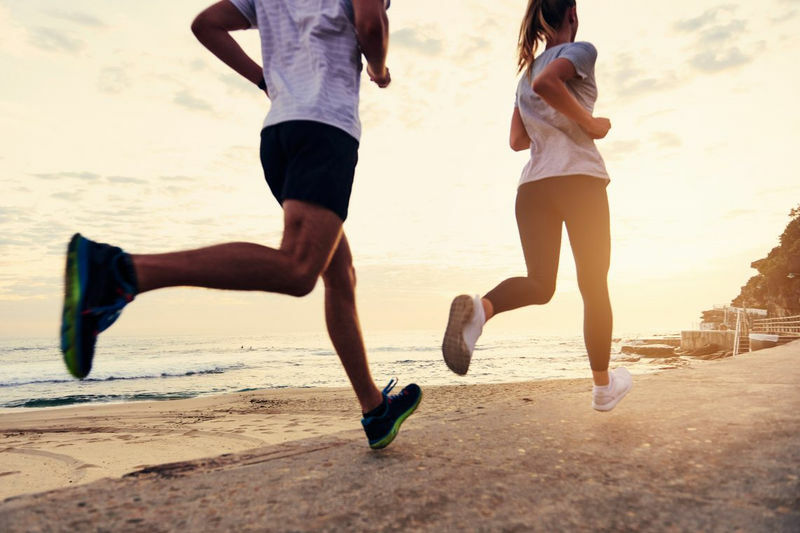 Whether you run as a form of workout or sports, investing in quality items which can keep up with your active lifestyle is just as important. Why not check out special offers from Sports Direct, NIKE, The Hut, Footlocker, MandM Direct, and Adidas? Don't forget to stack voucher codes so you get to save on trainers, shorts, running support, and tracksuits. We’re always looking for something that can improve our overall mood or something that can help us keep up with our health. Those are the few significant reasons why Brits love running. Running helps increase our endurance and has a great impact both physically and mentally. Some runners run for physical discipline, and there are some who run to enjoy the momentum and speed of being alive. For whatever reason that led you to running, it is very important that you are established with the right running essentials. Here at Latest Deals, you can find the latest voucher codes, discount codes, coupon codes and many bargain techniques that our massive community of money-saving experts have found (and verified). Be up to date with the newest sale announcements and hottest options that can help you get big discounts on running shoes from Argos, Amazon, Sports Direct & other major UK retailers. Afterall, running is not the only thing that can improve our overall mood, big savings can do the trick too. Clothing. Of course, we all need clothing. But when it comes to choosing the correct clothes for running, you have to select the ones that are perfect for your body type and gender. Avoid using cotton clothing because we guarantee that you won’t like that sticky feel every time you sweat. Go with the synthetic fabrics. Foam Rollers. People tend to overlook and underestimate the idea of warming up before hitting the road. Foam rollers work best for warm ups and even for after-run recoveries by gently massaging your muscles. GPS Device. In order to keep track with your progress and how far you have went, a GPS device is essential. There are quite a couple of apps for your smartphone that has remarkable GPS features. Examples of these smartphone apps are Nike+, RunKeeper, and Strave. Headphone. What keeps you pumping after running a certain distance? For most people, music helps them keep motivated and energized. Good reliable headphones that do not easily fall off can be very helpful. Hydration Tools. Just as important as your goals, keeping yourself hydrated especially during running is vital. If the idea of carrying a water bottle while running bothers you, you can opt to settle with handheld bottles or hydration belts. Resistance Bands. Resistance bands help you prevent injury caused by ankle issues. It can also strengthen the movements of your ankle. Stretching Strap. This helps you in stretching your hamstrings, quads, and hips. Also best for recovery and warming up. Whether you’re a pro or a newbie in running, it’s ideal to select the right pair of running shoes that best suits you. This will help you reduce the risk of injuries and make your running experience much more enjoyable and comfortable. Here are a few tips to guide you on your quest in searching for the perfect pair. It is important to know your foot type. Every foot has its own unique shape, and by knowing yours, you can filter down your shoe options to those specifically made for your foot type. Where are you going to run? 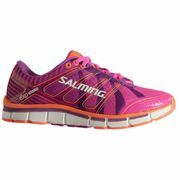 There are shoes perfect for gym use, pavement or rough road use, trail use, etc. So by putting into consideration the platform you’re going to set foot on, you can drastically bring down your shoe options made for the specific environment you’re looking into running. Check the online reviews. You’ll get loads of inspiration and ideas from runners who have used certain models. They also tend to compare the brands and its overall feel on the feet. Don’t hesitate to shop around. Check for the lowest possible deal you can get for the same quality. It is possible that you can get the same pair at a much cheaper price online compared to the physical store you tried the shoes on. Duramo Lite Racer, Adidas– This pair features a breathable mesh for the added airflow your feet needs. The Duramo Lite Racer also provides extra support with its overlays and can reduce ankle pressure. Perfect for those who are looking into a long-lasting pair. New Balance 562, Ebay. This pair offers cushioning ABZORB heel shock absorption. Ideal for newbies and entry-level runners who aim to cover a five kilometer run throughout the week. The sole is made of Ndurance rubber ensuring that it’ll last longer than the usual running shoes in the market. Nike Air Monarch Trainers Mens, SportsDirect. The Nike Air Monarch Trainers provide support. It has an anti slip grip and a phylon midsole. These special features help you stay comfortable the entire day. It has a leather upper that does not only keep your shoes durable, but also makes your pair look sleek. Puma Vigor Mono, Amazon. A lightweight and stylish pair that was designed to be flexible and comfortable. It has deep forefoot flex grooves that permit natural and smooth transitions, and carbon rubber to keep it durable. Reebok Yourflex 8 Trainers Mens, SportsDirect. If you are searching for a pair that can surely provide you a comfortable feel and enough support under the foot, this trainer that features a memory tech insole can do magic for you. The sole has rigged texture that will allow amazing grips over a wide range of terrains. Now that we have all been guided in what to look out for in completing your running get up, here is a list of trusted UK retailers where you can get those running essentials you need for less. Sweaty Betty. Perfect spot for the lady runners out there. Sweaty Betty has all that you need for running, from a wide range of sports bra to quality running tights. They offer discounts of over 20% on Black Fridays and even up to 50% on their activewear sale. You can also save an extra 10% discount with a quick email sign up. Go Outdoors UK. Go Outdoors UK offers special deals almost every month. With these WOW Deals, selected lines are cut up to half the item’s price. They also have a Sale Department where you can save up to 88% on select items. Adidas. Adidas often conducts sales that can help you save a couple of pounds on your running attire and gears. You can get up to 50% discount on Men’s Collection, Women’s collection, shoes, clothing and accessories. Sports Direct. Being UK’s No.1 sports retailer, expect to find all of your running get-up needs here. From the perfect running top, running shorts, socks to jackets for men and women, Sports Direct can help you get equipped and ready to take on those miles. Don’t miss out on their awesome Clearance Sale on their running clothing and shoes selection, where you can get cheap clothing and cheap mens running shoes for less. Amazon. For an amazing range of men’s sport clothing, women’s sport clothing, womens running shoes, running GPS, reflective gear, activity trackers and more, Amazon got you covered. 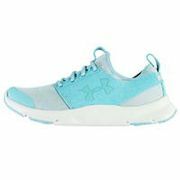 Check out their low prices on running essentials. Also, avail free shipping and other exclusive offers if you become an Amazon Prime member.